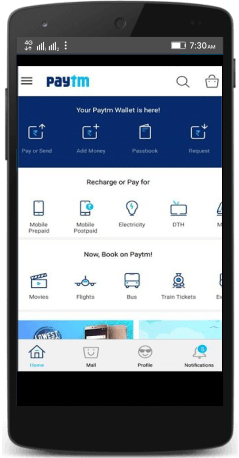 Paytm is India's largest mobile payments and commerce platform, founded in the year 2010 by Vijay Sekhar Sharma. It was incubated by one97 communications as a mobile recharge website. Starting from online mobile recharge platform and payments of bills, with time it has grown on to become one of India’s leading online marketplaces today. Currently valued at more than $1.5 billion, Paytm is one of those rare unicorn startups that have thrived over the course of time. Its wallet has more than 200 million users in India & the company also has enlisted more than 3 million merchants under its network. Very recently, Paytm acquired a banking license to operate within India. Within a month of its launch, it had gathered more than 5 million users for its banking services. In short, paytm has indeed set a benchmark when it comes to digital payments in the second largest internet market of the world, India. Need a similar kind of application! Interested to build an app like PayTM, MobiKwik or Freecharge. Get a free consultation with quote. App Design: Most important thing is that a wallet app needs to be crisp & to-the-point. If people get lost/confused using your app, they aren’t going to trust you with their money. App Platform (Android, iPhone): App development cost varies from platform to platform. And if you're targeting a local/semi-urban/rural market, we'd suggest you to start with an Android app first. Want Us to Make a Digital Wallet Ecosystem for You? Andolasoft, a global web & mobile apps development company based out of San Jose, CA, USA with an offshore centre in India can help you develop a Paytm look-alike app that could give you a distinction in the market.